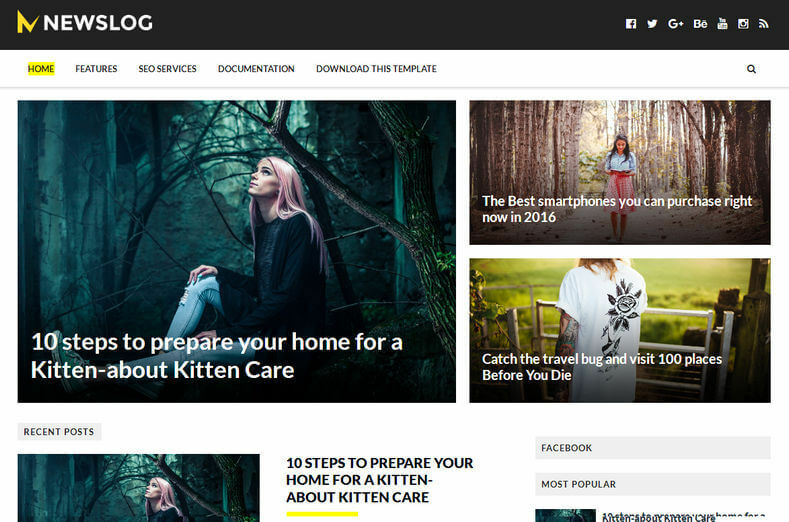 TrendNewsLog Blogger Template is one of the best magazine template for your blog. This template is very simple to use as well as it is seo frendly too. It is lightweight and fast loading and at the same time it is having best featured area which attracts the visitors. Responsive, Seo Ready, Magazine, 3 Columns Footer, Yellow, Email Subscription Widget Ready, Slideshow, 1 Right Sidebar, Right Sidebar, 2 Columns, Social Bookmark Ready, Post Thumbnails, News, Technology, Browser Compatibility.